Sometimes cybersecurity in a Higher Ed environment can feel like fighting off many fires with only one bucket of water. Thankfully, Higher Ed’s unique culture allows IT professionals several opportunities to be able to reach out to their peers and share expertise. One such opportunity for those living in or near Boston is through the Higher Ed IT Professionals Meetup. Last month, the Meetup met for the second time at the Showa Boston Institute for Language and Culture to discuss all things cybersecurity in Higher Ed. We were joined by three cybersecurity experts, David Marion from Bridgewater State, George Moore, formerly of Salem State, and David Escalante from Boston College. Each panelist shared their unique perspectives and answered questions during the discussion. Marla Botelho, technology consultant and former CIO at Regis College, did a wonderful job of emceeing the event and keeping the conversation as informative as possible. 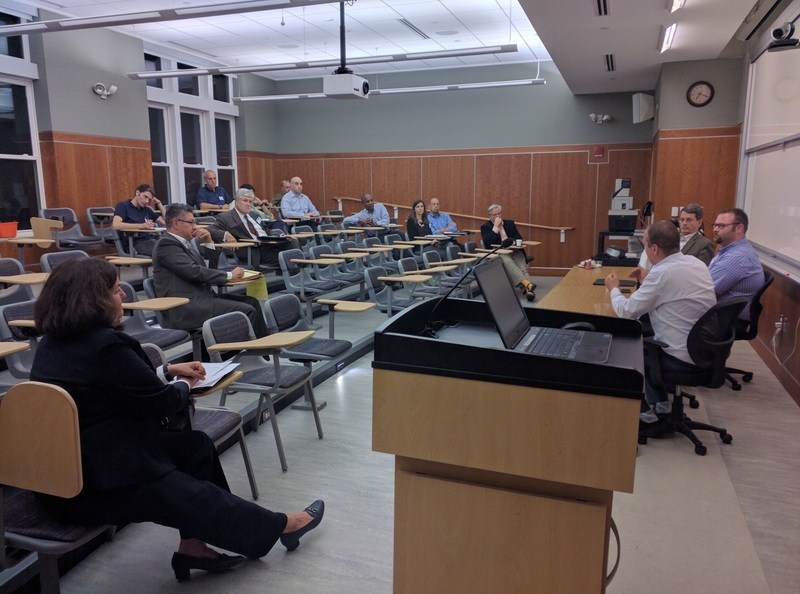 Our primary goal for this Meetup, besides providing Higher Ed technology professionals a space to network and socialize, was to discuss how universities of various sizes could staff off cyber threats while their IT resources are constrained. The conversation progressed from how university IT professionals could determine priorities against cyber threats to how to gain institutional support for cybersecurity initiatives. Finally, attendees shared their thoughts on the current and future trends that affect how colleges and universities approach securing their networks and devices against cyber threats, such as the Internet of Things. The panel also made it a point to talk about useful cybersecurity resources that could be obtained either for free or at very little cost. However, David Escalante warned that while “free” may sound good at first, everything comes at a cost. We plan on continuing the discussion on our Meetup page and encourage members to leave additional resources there for everyone to access. All things considered, the event was a resounding success! We would like to thank Showa Boston for hosting us and providing food and refreshments, everyone who volunteered their time to organize the event, as well as the panelists and attendees who helped make it so engaging. Join the Higher Ed IT Professionals Meetup to be part of the discussion and be notified when we are having our next event! Do you have any suggestions for the topic of our next Meetup? Would you be willing to present on that topic? Let us know in the comments.